Above: The boards are then given their first coat of undercoat. There is a total of 5,800 square feet of timber to be painted four times. Above: The crew construct a working platform above the river in readiness for cladding the new concrete in stone. 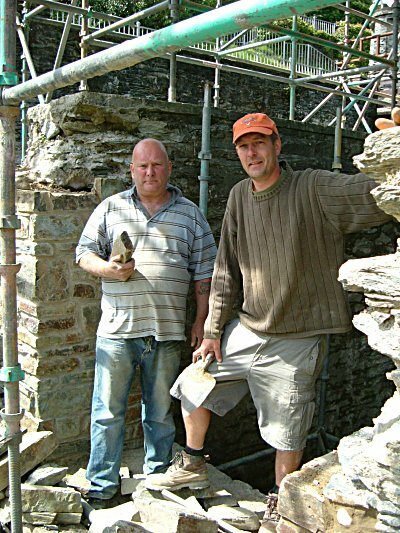 Above: The team start work on the stonework. A reasonable finish for a first attempt. Sunday. The crew at work are producing the holding bolts for the main bearing caps. 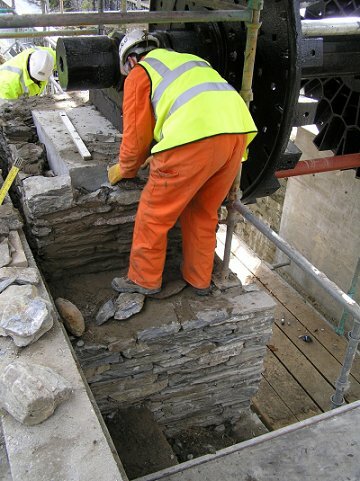 Developments repair the stone work to the gable wall of the wheel pit. The gable will remain open for better viewing of the wheel. 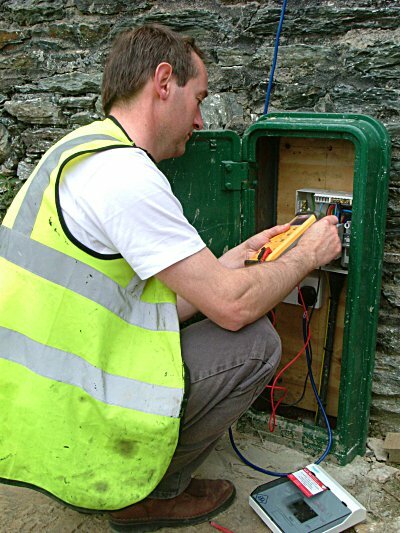 main construction of the wheel and later to power floodlighting.